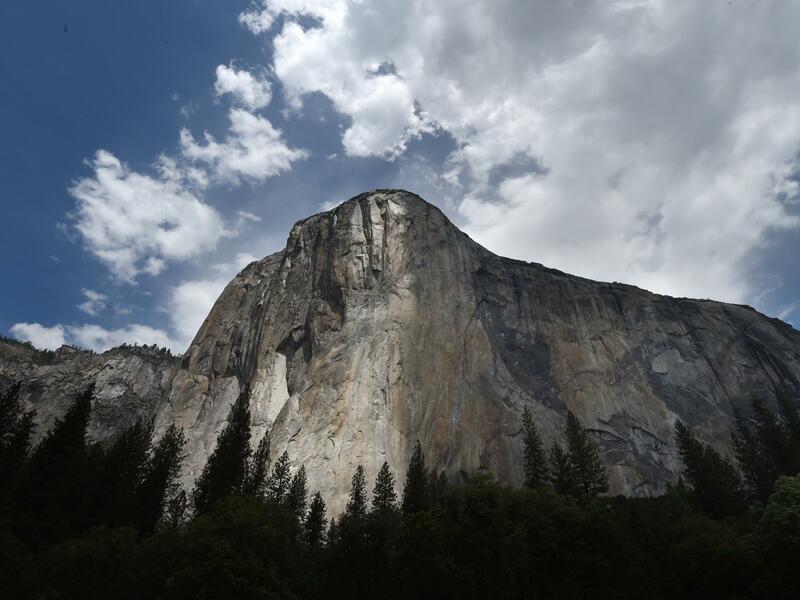 The El Capitan monolith in California's Yosemite National Park, seen in June 2015. 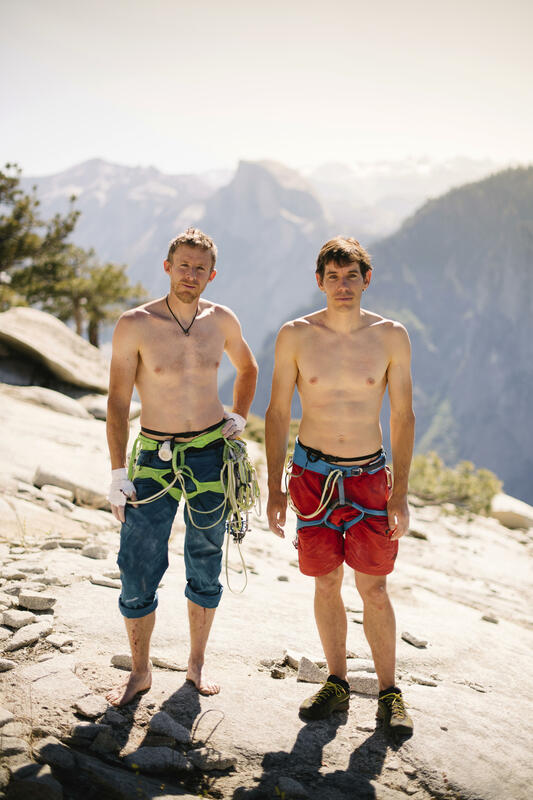 On Wednesday, climbers Alex Honnold and Tommy Caldwell managed a feat in under two hours that most climbers take days to achieve — scaling the famous "Nose" route up the rock. 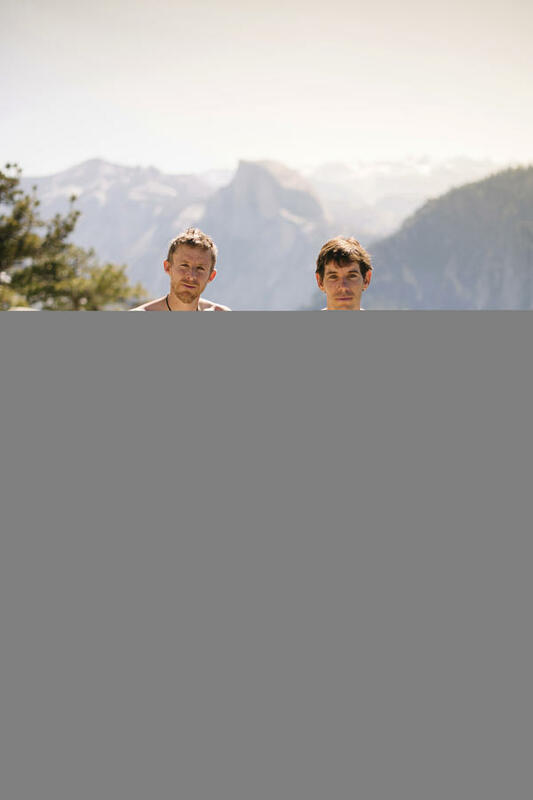 Tommy Caldwell and Alex Honnold pose for a portrait Sunday at the top of El Capitan in Yosemite National Park, Calif. Within days, the pair would go on to break their own record twice, including once in under 2 hours. The first time a group of humans managed to scale El Capitan, a granite monolith rising 3,000 feet sheer from California's Yosemite Valley, it took at least 45 days of climbing over the course of about 18 months. In the six decades since, those who followed in their footholds lessened the time it takes to reach the top — but, with some rare exceptions, even the most seasoned climbers generally take several days to complete the trek.